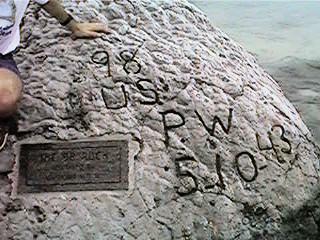 The "98 rock", a large piece of coral standing in the lagoon inscribed "98/U.S./P.W/5-10-43", a message carved by one of the last of the 98 POW's executed that day. On December 11, 1941 a Japanese naval task force was positioned to support a Japanese Special Naval Landing Force invasion. US MC shore batteries successfully repulsed the attempted landing, sinking one destroyer and damaging two cruisers, two destroyers and:a transport ship. After the fleet withdrew,, Marine Fighter Squadron 211 sunk an additional destroyer. During the next 11 days, Wake Island was bombed 8. times, destroying virtually all above ground facilities. During the December 22 raid, the last remaining U. S. Navy F4F fighter was downed. 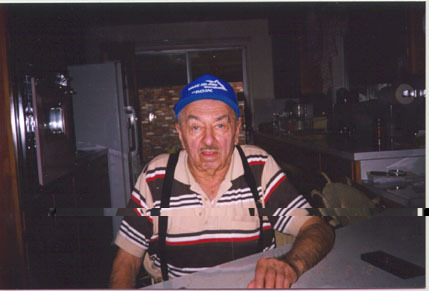 At 0245 December 23, 1941 a full scale invasion force landed and overran Wake Island. At 0900 hours, the island was surrendered to the Japanese. A U.S. Navy task force carrying reinforcements for Wake Island was within 425 miles of the island at the time of the attack, however, the task force was recalled to Pearl Harbor prior to the surrender of the island. The Japanese took approximately 1,600 prisoners on Wake Island (450 military, 1,150 civilian). 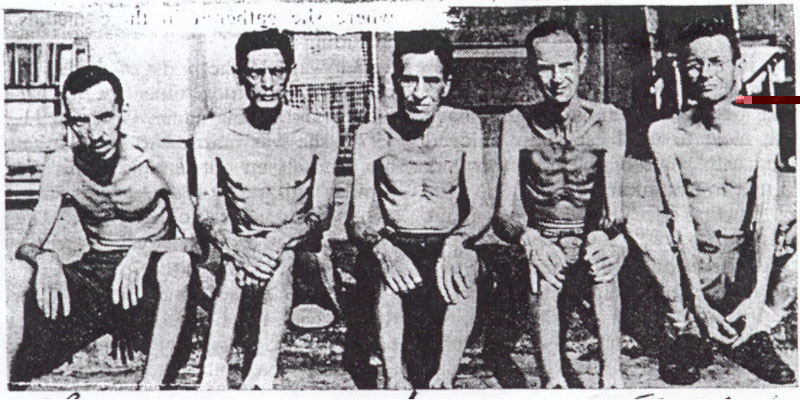 During January, 1942, all military prisoners and about 750 of the civilian prisoners were transported to Prisoner of War (POW) camps in China and Japan.